When the news came in on Friday, the 16th of December 2011 that Christopher Hitchens had died, many of us struggled to come to terms with the feeling of loss, even some of those who have known him for just a fraction of his professional career. Indeed, even having known for a while that his death was imminent, and having had time to prepare for the moment, didn’t soften the blow when it came. Despite the fact that he wasn’t directly involved with the freethought community in India, and perhaps because of the way he lived his life, undaunted and marching to his own fiercely independent beat till the very end, the news came as a hard punch, leaving us stunned. Cancer for him was merely an event in the essential continuity of life, one that was to be met squarely in the eye. In keeping with his indomitable spirit, a tribute to Hitchens can be nothing less than a celebration of the way he lived. 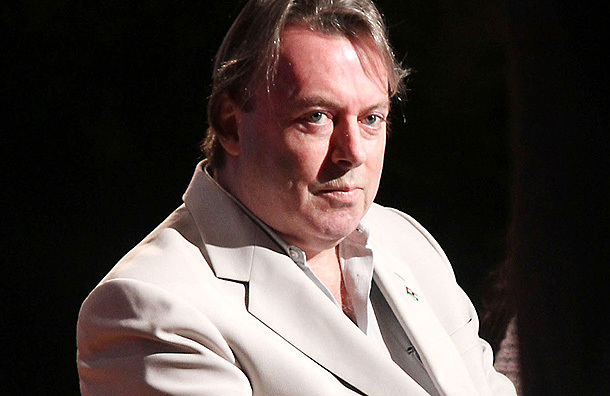 Hitchens’ impact on atheists in India was significant. Our Nirmukta community, comprised of a majority of younger members with a passion for intellectual challenges, revelled in the inevitably one-sided displays of percipience and performance that Hitchens so relished turning his debates into. The rest of his long and illustrious career, covering everything from international politics to war and science, is often quite regrettably reduced to a footnote for lack of breath after watching one religious apologist after another have their core beliefs skillfully and thoroughly dismantled by The Hitch. 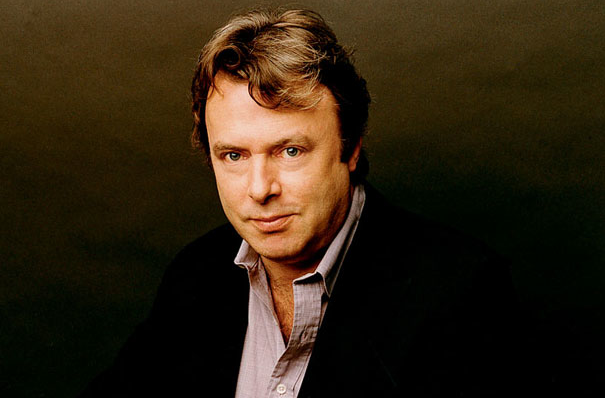 For many of us, Hitchens was one of the most accomplished and visible of the recent wave of atheist authors and intellectuals emerging to challenge religion in the public sphere, replayed millions of times on youtube and elsewhere online, bypassing traditional media while still playing out his role as one of its last remaining heroes. Hitchens stood out, even among those propounding so-called “militant atheism”, for the unrestrained contempt he directed at those with whom he disagreed on issues of human rights. He did not hesitate to make explicit his moral outrage against religious leaders and apologists who defended the barbaric, inhumane doctrines of the Abrahamic religions. With such people Hitchens did not draw the line at attacking ideas alone. Hitchens reserved the full force of his anger for those targets of public adoration and respect that he considered hideously immoral. The best examples, in the Indian context, are his criticism of Gandhi and “mother” Teresa. But even when he wasn’t laying out a solid case describing the bottomless inhumanity of a weapon of the church who thrived by martyring herself on the pain of others, one whose organization glorifies suffering and serves to extend the misfortunes of those in whose name it raises billions at the coffers, his ideas were relevant to us. You don’t have to try hard to apply Hitchens’ scathing criticism of religion to the Indian context. It is true that although he was so eloquently contemptuous of all religious doctrines and the authoritarian forces that wield them to various nefarious ends, much of his polemics were targeted at Judeo-Christian beliefs and practices. But when we come across a religious apologist with a distinctly desi flavour, the odds are that a quote, link or adapted retelling of a Hitchens argument would serve just as well in standing up for reason in the Indian context, and with style. Christopher Hitchens will mostly be missed for his ability to cut through the layers of deception and subterfuge that centuries of religious indoctrination has bred into culture. He made us question deeply ingrained beliefs and unexamined premises, and held us, his audience, up to a higher standard than many of us were willing to grant ourselves. For us Indians, most of us products of a system that discourages free inquiry, systematically replacing independent thought with rote-memorization, where asking a question is seen as a sign of disrespect and the only acceptable claims to knowledge are based on authority, Hitchens’ sheer irreverence was breathtaking. He spurred us on with his coruscating wit to see past the blinds of authoritarian dogma, a lesson well worth conveying to the masses of Indians who reserve criticism and scrutiny for faiths other than their own. The big question we’re concerned with here at Nirmukta is how do we best go forward, remembering the great Hitchens by carrying on down the path he blazed before us, bearing on his battle-scarred shoulders the irresolute future of freethought. The stakes are as high as ever. It is civilization itself that hangs in the balance, as Hitchens reminded us at every opportunity. It is difficult to say where the freethought movement, including our efforts in India, will lead us in the next few years. But one thing is for certain; Christopher Hitchens will continue to influence us for generations to come, taking his rightful place in a long tradition of freethinkers who have changed humanity for the better. The acerbic wit and unmatched insight that characterized his books, essays, talks and debates will continue to be shared, quoted and argued over in forums and coffee shops everywhere for as long as religious tyranny continues to cast its shadow over our lives. In remembering Hitchens through this tribute to his life’s work, an unyielding resolution to forever seek the truth and question authority is the only way forward. It’s the least we can do to advance what Hitchens would call “the materialist conception of history”. What about his war mongering? His drooling over the bombing of Iraq? His eager support for the lies of Bush administration. Not a great man after all.